Solar energy is a rapidly expanding industry and thanks to innovative leaps in battery storage technology in recent years, it’s now more viable than ever. For those who aren’t yet in the loop, a solar battery is essentially just that – a battery that stores power generated by your solar panels. In the past, solar energy that was not immediately used by your household would be transferred into the energy grid, however, if your home has a storage battery installed, this energy can now be stored for use later on. Analysts are predicting that half of all households in Australia will adopt a solar storage system in the next 10 years, so it’s worth knowing what’s out there. 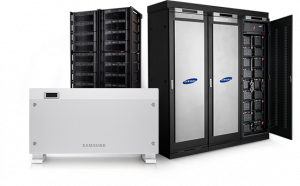 In this report, we take a close look at what storage systems are available or soon to be available on the Australian market. Here is a list of retailers, followed by a closer look at each brand. 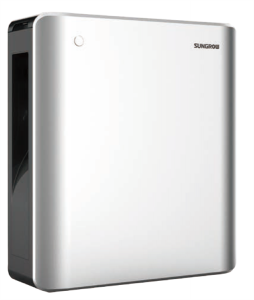 Samsung’s SDI all-in-one battery storage device was one of the first to hit the Australian market. It combines a solar/battery inverter and a lithium-ion battery with a modest 3.6kWh capacity. Origin Energy is trialing the 3.6kWh Samsung SDI battery storage unit for its customers in some areas. Samsung has said it is working on larger batteries, including 6.2kWh and 10kWh models, however there is unfortunately no pricing information available as of yet. AllGrid Energy is a Brisbane-based energy research company. In August 2015, it launched its solar battery, the 10kWh WattGrid. The WattGrid solar battery is not your conventional battery and instead holds its charge in tubes of a lead-acid gel variant. While this is alleged to improve efficiency, it makes the battery less ideal for outdoors. The battery has four modes: Solar, battery, grid backup and time of use. The time of use mode lets it draw electricity from the grid at off-peak periods, while the backup mode will ensure there remains a reserve of backup energy in the event of blackouts and will prioritise certain appliances like fridges. On its release, the battery system retailed for $11,999 (not including installation). Redflow currently offers Zinc Bromide batteries ranging in sizes from 8kWh to 11kWh, specialised for commercial use. According to the executive chair of Redflow, these batteries last 10 years and stand out in the market in that they can discharge 100% of their stored energy, unlike most other solar batteries. In the middle of 2016, Redflow released its first residential storage solution, a 10kWh battery called the Zcell. It is a heavy battery, but has a high depth of discharge and can tolerate some extreme temperatures. 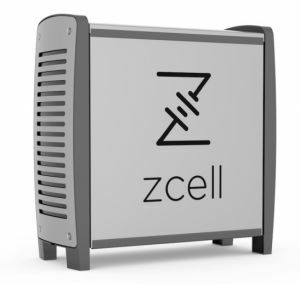 Customers can buy a Zcell for around $12,000. The Powerwall is a sleek lithium-ion solar battery produced by Tesla – a global leader in technology innovation. It hit Australian shores in 2016 and has already begun to help Aussies slash their power bills. 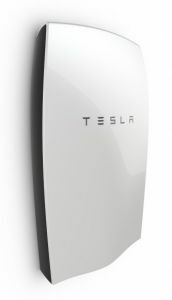 The Tesla Powerwall has a capacity of 6.4kWh and has an efficiency rating of 92.5%. The Powerwall has a life expectancy of 15 years and comes with a 10-year performance warranty. Most Australian retailers that offer the Powerwall do so as part of a package deal, and do not offer it as a standalone product as of yet. 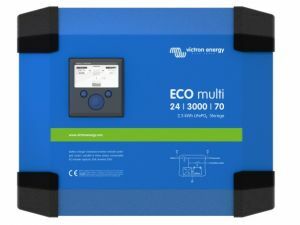 If it is retailed individually, the device itself – excluding inverters and installation – is expected to cost around $7,000. Simple installation and low maintenance compared with many other storage units. Global tech giant Panasonic is also getting in on the solar battery trend. It currently produces the LJ-SK84A residential storage battery system. While its name isn’t the best on this list, it certainly contends as one of the most practical residential storage batteries. 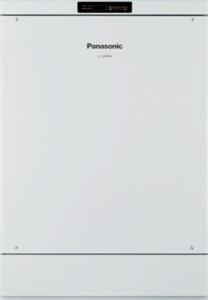 Panasonic’s solar storage unit is an 8kWh lithium-ion battery with 93% efficiency, though it is only currently available on trial through ActewAGL, Ergon Energy and Red Energy. These trials so far have reportedly produced impressive results with Red Energy taking on Panasonic as its sole provider of home batteries. Panasonic’s storage battery system is programmable to charge and discharge when the consumer wants, and includes a backup feature in case of blackouts. Sunverge Energy has pioneered the development of a storage unit called the Solar Integration System or SIS. This storage unit comes in 7.7kWh, 11.6kWh, 15.5 kWh and 19.4kWh, with all necessary inverters and monitoring hardware in built to the system. Sunverge claims that its energy management system is compatible with most leading household hardware systems and provides more real time usage data than any other system. Again, like most solar batteries, Sunverge’s SIS is programmable to optimise battery usage during peak demand periods, and includes a backup feature in case of blackouts. The Sunverge SIS can be purchased in three sizes through AGL. Its 7.7kWh system can be purchased for $9,990, while the 11.6kWh and the 19.4 kWh can be purchased for $14,990 and $19,990 respectively. 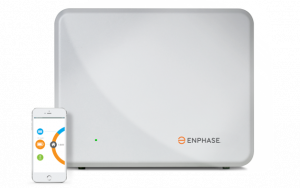 The Enphase storage system brings something quite unique to the table with its modular lithium-ion phosphate batteries. Each battery only has a capacity of 1.2kWh, however they’re designed to stack to give customers a completely customisable storage solution. Enphase says its battery is the most affordable upfront and has the highest lifetime value than anything else currently on the market. It is also compatible with most solar systems, meaning there’s no need to upgrade to an expensive hybrid inverter. RenewEconomy says that most solar retailers are pricing the Enphase Storage system with a single battery at around $1,900 to $3,000 including installation, with additional modular batteries costing around $1,000 per battery. 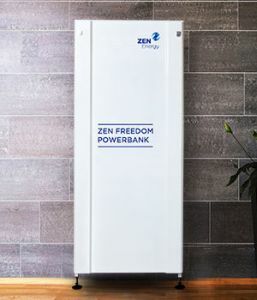 ZEN Energy started with the launch of its ZEN Freedom Powerbank – large batteries in 20kWh and 40kWh sizes with backup diesel generators for off-grid application. The company then followed up with a range of residential grid-connected batteries with its ZEN Urban PowerBank, in sizes from 10kWh to 20kWh with prices ranging from $10,000 to $15,000. In September 2016, ZEN Energy went even smaller, announcing a partnership with Sonnen batteries and Redbank Technologies to provide a range of batteries in sizes from 3.3kWh to 10kWh, with prices starting at $8,990. 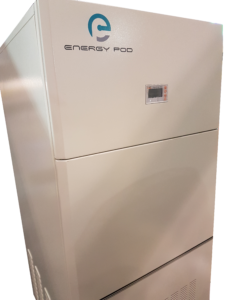 The Ampetus Energy Pod is marketed as one of the most cost-effective storage solutions on the market. 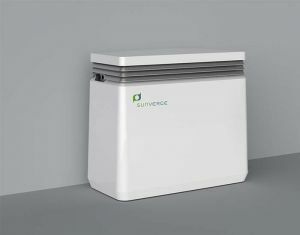 It is a scalable battery, meaning customers purchase a basic 5kWh storage unit and later add on additional storage, giving it a maximum capacity up to 14.4kWh. Perhaps the most unique feature about this storage battery, is it’s the first to include voice interactivity. The Energy Pod can answer simple questions such as “how much money did the Energy Pod save me today?” or “How much solar energy will be produced tomorrow given the weather?”. Redback technologies have developed a ‘smart hybrid solar inverter system’ to direct electricity produced in the middle of the day to specific devices ie: pool pumps and hot water systems. To compliment this, Redback later developed its Smart Hybrid Battery Enclosure – a storage battery with capacity between 2.4kWh and 9.6kWh. It comes standard with backup battery functionality and also includes access to web and mobile monitoring at no extra cost. General price information is limited, so contact Redback for more information. The SonnenBatterie (yes that’s how it’s spelt), is another solar battery that’s generating excitement in the Australia solar market. Sonnen’s range of solar storage batteries is offered in 2kWh, 4kWh, 6kWh, 8kWh, 10kWh, 12kWh, 14 Wh and 16kWh capacities. 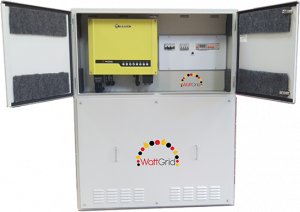 It also comes in-built with intelligent management systems that optimises when and how your battery storage system operates in order to maximise savings. You can read an in depth guide to the SonnenBatterie here. Prices are between $3,500 and $30,500 (depending on size). 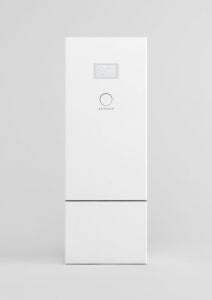 Sonnen’s most recent battery is the Sonnenbatterie Eco 9.43, which has a large 13.5kWh usable storage capacity, but with a relatively weak power output of 3.3kW. The neeoQube and neeoQube system is a compact, scalable storage system that’s designed to reduce energy costs for grid-connected homes. Each neeoQube has a 5.5kWh capacity and is ideal for households with 5kW solar systems. Customers can stack up to five neeoQubes, providing a maximum capacity of 27.5kWh. 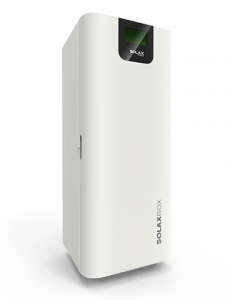 SolaX, best known for its range of leading inverters, has entered the solar storage game with its SolaX lead carbon battery and its SolaX Box. 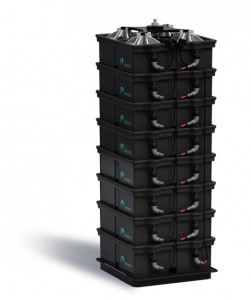 The SolaX lead carbon battery is a pretty standard storage unit, with a 6kWh capacity and a 2 year warranty. The SolaX Box is a little more interesting. It has a 14.4kWh nominal capacity, five year warranty, integrated touchpad controls, automatic blackout protection, and web/app remote monitoring software. The is a small 2.3kWh battery, but for what it lacks in capacity, it makes up for in practicality and affordability. It is modular, easily mountable and includes everything needed to start storing solar power. It is also compatible with Victron’s suite of monitoring technologies including apps and web portals. Energy storage is tipped to be one of the major booming markets in coming years and Mercedes Benz are making sure to get in on it. 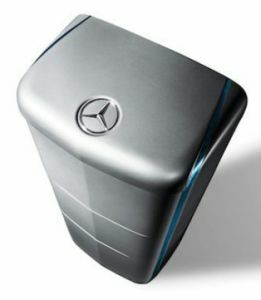 Mercedes-Benz home storage batteries are small, scalable units with an individual capacity of 2.5kWh. Up to eight can be hooked up in total for a maximum nominal capacity of 20kWh. These solar batteries are also pretty pleasant on the eye, with a sleek and shiny design. 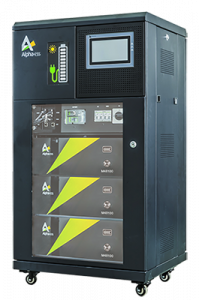 Alpha.ESS manufactures three kings of solar storage unit: The Storion, PowerPlug and Alpha-Centauri. While they of course share the same base purpose of storing solar power, each model is designed to suit different needs. Price: Storion – $3,500 per module. Contact Alpha.Ess for price information on other models. Fronius has traditionally specialised in PV inverter technology, however it now has its own battery range with capacities varying from 4.5kWh to 12kWh. Alternatively, Fronius also produces a battery module system. Each module stores 1.2kWh and the system can stack to create a storage system of any size to suit your needs. Fronius says its batteries have short charging times, high depth of discharge, and an impressive life expectancy of 20 years. Unfortunately there is very little pricing information available online at this point in time. Ecoult has produced a hybrid, long life lead-acid energy storage unit which Ecoult says is like nothing else out there. The storage unit labelled by Ecoult as the “UltraBattery” was launched in 2016 with a 5kWh capacity. Ecocult has also announced the development of an 11kWh battery which it expects will cost just below $20,000. Ecoult claims the advantages of lead-acid batteries are that they are safe, recyclable and produce next to no emissions. Historically lead-acid batteries have been less ideal for rechargeable units however, with lithium-ion being the preferred alternative thanks to its slow diminishing characteristics. With that said, Ecoult says its battery lasts much longer than any other lead-acid battery and insist that the UltraBattery can rival its lithium-ion counterparts on every metric. At this stage there is little more information available. LG Chem is the chemical battery division of global giant LG. It’s been in the solar storage unit market for a while and currently holds nearly half of Australia’s solar battery market share. LG Chem launched in Australia with its RESU Main pack with a capacity 6.4kWh, as well as its RESU expansion pack which adds additional capacity in increments of 3.2kWh. These are currently only retailed through Solar Juice with the main pack pricing around $6,000 excluding installation and inverters. LG’s most recent release is the 48V series batteries come in sizes of 3.3kWh, 6.5kWh and 9.8kWh. These batteries are more dynamic and can be stored indoors and semi-outdoor areas (ie: garage or carport). 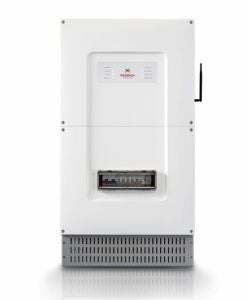 The smaller 3.3kWh unit can also be stacked for customise storage capacity. 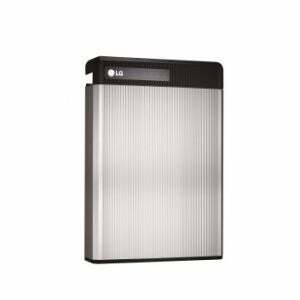 The 9.8kWh battery (also called the LG Chem RESU 10) has a usable capacity of 8.8kWh and can typically be purchased for for $7,000-$7,500. Range of battery sizes including modular systems to suit a range of storage capacity needs. Aquion has produced a hybrid-ion saltwater storage unit which the company claims is environmentally friendly and safer than chemical batteries. 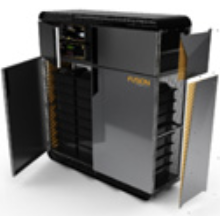 Aquion’s flagship battery is its 48S battery which is a 2.2kWh modular battery that can be stacked to create a storage unit with a larger capacity. Aquion doesn’t provide any price information on its batteries, however the company says that while its batteries are generally more expensive to purchase up front, they have a greater lifespan and lower maintenance cost than chemical batteries. A major drawback of using saltwater in the Aquion batteries is that they have to be stored indoors and are not suitable for extreme climates where the battery may freeze of overheat. 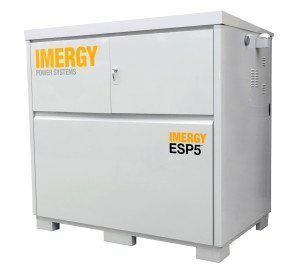 The Imergy Energy Storage Platform (ESP) uses redox flow battery technology which the company claims is the most cost-effective and reliable energy storage solution available today. Imergy batteries claim a 100% depth of discharge while not losing any storage efficiency for thousands of cycles. 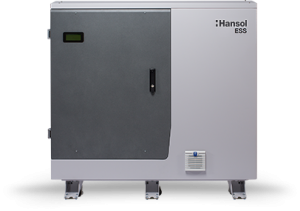 It’s flagship series of solar storage units are the ESP5’s which have a capacity range of 15kWh to 30kWh – ideal for businesses or large homes. Imergy also produces batteries of up to 1MWh for massive industrial application. Magellan Power is a Western Australian company that has developed a residential solar storage unit called the Hybrid Energy Storage System or ‘HESS’. 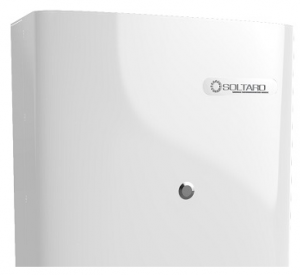 This unit comes in two sizes, 9.2kWh and 13.8kWh, and boasts an impressive output efficiency of 97%. Magellan Power says the HESS has everything built in to the unit, so there is no need to purchase additional equipment, making installation quick and affordable. Being that it’s produced in Australia, Magellan Power also claim maintenance turnaround is swift as there is no need to import parts. Finally, the HESS can be programmed to operate to charge at off-peak hours or discharge solar power during peak electricity periods to optomise electricity savings. It is also compatible with a monitoring app for mobile devices. Bosch is also trying its hand at solar battery storage with its BPT-S 5 Hybrid, marketed as an ‘intelligent energy management and storage solution in one’. 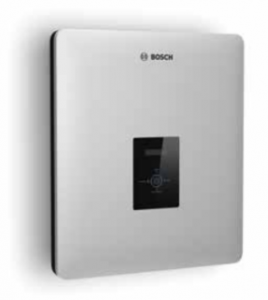 This lithium-ion storage system is available in five capacities from 4.4kWh up to 13.2kWh with a sleek design that Bosch is well known for. Bosch’s storage system is monitoring app compatible and has four pre-programmed modes, for morning, afternoon, evening and night to ensure it draws energy from the most cost effective source. Information on Bosch’s battery is rather limited, however early lifespan testing has shown it can last 10,000 cycles without capacity deterioration – that works out to be a life expectancy of around 36 years according to Bosch, which is considerably longer than anything else on this list. Bosch has not yet provided pricing information, but says that this is a quality product targeted at a premium market. 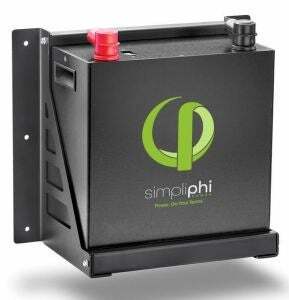 SimpliPhi is an American company with two batteries, the Phi 2.6 and the Phi 3.4. The Phi 2.6 has a usable capacity of about 2kWh, while the Phi 3.4 has a usable capacity of 2.75 kWh. These batteries are also light and ‘modular’, that is, the batteries can be stacked to increase the total storage capacity. The batteries are made made of Lithium Iron Phosphate, which is the safest and most durable battery chemistry available on the market. It also has a high efficiency of about 98%. Better yet, the batteries are warranted to last 10 years or 10,000 cycles, whichever comes first.The downside? Well it is quite expensive for such a small battery, costing about $4,500. Sungrow has a single battery called the SBP4K8 (we know, creative). The SBP4K8 is a well-rounded lithium-ion battery. It is a moderate sized battery with a usable capacity of 4.56kWh, power of 3kW, round trip efficiency of 95% and a manageable weight of 48kg. It also has a simply setup for multiple batteries, one-click firmware updates, remote monitoring and smart hibernation technology to maintain the battery’s health in the long term. The SBP4K8 is also quite hardy, with robust BMS technology which provides multi-protection at both cell and system level. It can also withstand temperatures from -10 to 45 degrees celcius. As for price, this battery comes in around $3,500. Well-rounded in terms of capacity, efficiency and features. This is a lithium-ion battery with a Nickel Manganese Cobalt chemistry. 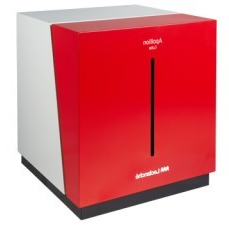 It has a discharge depth of around 80% and is capable of a peak output of 6.5 kW. The Apollion Cube is also marketed as a safe battery due to its double metal housing, short circuit proof relay, temperature monitoring and active current controls. The battery also has plug and play capabilities and is expandable up to 12 modules. Keep in mind that this battery doesn’t fair too well in climates that hit negative temperatures. It also has a 7 year warranty – which is on the lower end of what’s standard – and costs about $9,200, which is fairly expensive for this size of battery. This is a small, modular lithium-ion battery. While it only has a 1.8kWh usable capacity, it can be stacked to create a larger battery to suit your needs. It has a 97% round-trip efficiency, 10 year warranty, and is compatible with multiple inverters. 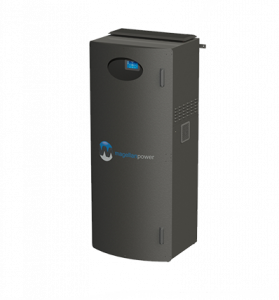 A single Soltaro 2 unit will set you back about $1,700, though keep in mind that you will need to buy a few if you’re looking for enough storage to support your home’s energy requirements. 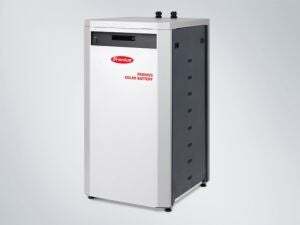 Soltaro have also recently released a 4.5kWh unit, which will cost a little over $4,000. Fusion Power Systems has developed an aqueous hybrid ion battery called the Titan-3 – a fitting name for an all in one unit that weighs over 600kg. Despite being the heaviest battery on this list by far, it is otherwise a well-rounded unit. It has an 8kWh storage capacity, 94% round trip efficiency and has an 8 year warranty on the entire system (inverter, battery, controller etc). The chemical makeup of the Titan-3 also make it an inherently safe battery. The Titan-3 is also a relatively pricey unit, setting you back $13,750. Hansol is owned by Samsung – the very same tech and appliance giant famous (and sometimes infamous) for its phones, televisions and appliances. Hansol has two batteries, the AIO 10.8 and the AIO 7.2. The AIO 10.8 has a 10.8kWh nominal capacity and a 9.72kWh usable capacity, while the AIO 7.2 has a 7.2kWh nominal capacity and a 6.48kWh usable capacity. It is an all-in-one battery with a built in solar inverter that makes the unit simple to install and operate. The battery has a round trip efficiency of 90% and has a powerful output of 6.6 kW. Both AIO batteries have a 10 year performance warranty, as well as a 5 year full warranty on other components. The AIO 7.2 will set customers back around $11,200, while AIO 10.8 purchasers can expect to pay around $13,100. Trina are we known for its tier 1 solar panels, so the manufacturer made the next logical step – solar batteries. 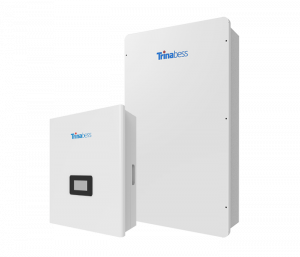 Trinabess (the battery division of Trina) has produced a number of residential, off-grid and portable storage units, but none are as popular as the the ‘Trinabess Powercube 2.0’. This is a lithium iron phosphate solar storage unit available in 4.8kWh, 7.2kWh and 9.6kWh sizes (nominal capacity). It also has a steady 3kW power supply, a round trip efficiency of 94% and has an inbuilt hybrid inverter that allows it to easily retrofit with existing solar systems. 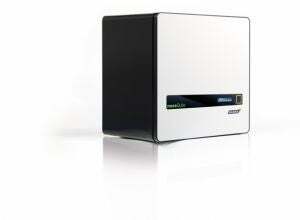 As for price, the Trinabess Powercube will set you back between $4,000 and $9,200, depending on the size. 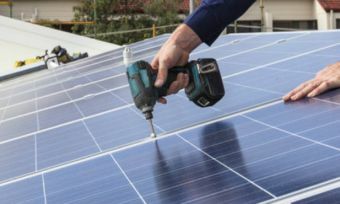 Australia’s massive solar battery market potential remains mostly untouched, meaning we can expect an even more solar battery retailers and storage unit brands to appear in coming years. This will in theory drive down prices and make solar storage an even more attractive prospect, so even if you don’t think a solar storage battery is right for you just now, keep your eye on the market in coming years. Keep in mind that this list has possibly missed some solar battery retailers. However, we will be sure to update it as new brands hit our shores.